A number of factors are expected to challenge Asia’s food security status in the next few decades. For the past 25 years, Asia’s economy, led by India, China, Japan, South Korea and Singapore, has grown by around six percent a year and already accounts for 40 percent of the global economy (Lagarde, 2016). However, with 60 percent of the global population and two-thirds of the world’s poor, many countries are not food secure and climate change and traditional farming practices are threatening its agriculture sector. It is not growing in tandem with the population growth. For example, the agriculture performance in South Asia has declined, with GDP falling from 43 percent to 18 percent between 1961 and 2009 (World Bank, 2011). Climate change has led to an increase in extreme weather. The International Food and Policy Research Institute predicts that Asia’s wheat and rice production will be 14 percent and 11 percent lower respectively in 2050 than in 2000 due to climate change (Teng, 2015). What Role Can Biotechnology Play? If used more widely, biotechnology would be able to increase yields and reduce loss due to pests and diseases; reduce costs of production (labor and chemicals); develop crops resilient to abiotic stresses and climate change; and develop crops richer in nutritional values. To meet global food security challenges, Asian countries will have to embrace biotechnology through science-based policies and regulations and also by combating activism against GM technology and crops. China is the largest economy and is emerging as a world epicenter in biotechnology research, driven mostly by the government. Agriculture makes up 43 percent of the Chinese workforce. The sector has reached maximum production capacity with current agriculture practices and land area. Scarce arable land, growing population, rapid urbanization, the impact agriculture footprint and a history of rationing are all putting pressure on the government. China invested heavily in modern biotechnology research as early as the 1980s. Government researchers developed Bt cotton varieties, approved for cultivation in 1997 (Huang, et. al., 2002). Monsanto collaborated with local companies and the Chinese National Cotton Research Institute to release other Bt cotton varieties in the late 1990s. Prior to the adoption of Bt cotton, Chinese farmers struggled with the infestation of cotton bollworm. 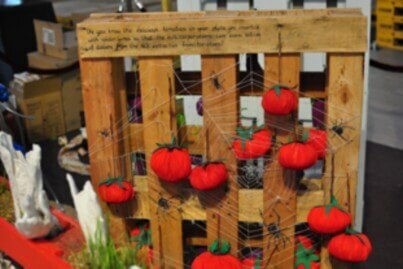 They were heavily reliant on pesticides that left them with many problems. They used a cocktail of organophosphates, pyrethroids and other chemicals, including DDT and the farmers’ struggle ended with the adoption of Bt cotton. The country is gearing up to be a GMO powerhouse now, but in its own style. In 2014, President Xi Jinping said, “We cannot let foreign companies dominate the GMO market. … China must boldly research and innovate, and dominate the high points of GMO techniques.” This was followed by the release of US$3 billion to develop bioengineered seeds. Bangladesh is moving aggressively into building a domestic GM seed market that is not dependent upon multinational foreign companies. In 2014, Bangladesh became the first country to cultivate genetically engineered eggplant (Choudhary et. al. 2014), a crop heavily infested by fruit and shoot borer, which cannot be controlled effectively using conventional insecticides. It is a critical staple grown by 150,000 small resource poor farmers. A socioeconomic study conducted by the World Vegetable Centre showed 98 percent of eggplant farmers using conventional non-GMO seeds rely on insecticides and 60 percent spray their crops 140 times or more in the 6-7 months cropping season (Alam et. al, 2003). While the benefits of Bt eggplant are enormous, the adoption rate has been slow because the seeds are only produced by Bangladesh’s public research institutes, which are unable to keep up with the demand. Like China, Bangladesh aspires to keep biotech crops in the hands of public sector. India adopted Bt cotton in 2002, six years after the United States. Before the arrival of Bt cotton, the country faced stagnating production, decelerating cotton yields and overreliance on cotton import. India achieved an adoption rate of 95 percent in 2012, before the US (James, 2015). In 2015, India displaced China as the number one cotton producing country in the world. Farm income in India was enhanced by an estimated US$18.3 billion from 2002 to 2014. India has also been conducting research on GM mustard, chickpea, rice, cotton, corn, sugarcane and eggplant for decades, but these crops will only see the light of day if it musters the political will to rebuff the anti-GM activist movement. The Philippines was the first country to adopt a biotech crop, Bt corn, in Southeast Asia, in 2003. The country faces a range of opposition, vandalism and court cases while the farmers are enjoying economic, agronomic and environmental benefits from Bt corn. It’s the only country where major church leaders have opposed biotech crops. Farm level economic gains from Bt corn was estimated at US$89 million for 2014 alone (James, 2015), benefiting, 350,000 resource-poor farmers. Northern Philippines Bt corn growers have witnessed a significantly higher population of beneficial insects such as flower bugs, beetles, and spiders than those farms planted with conventional hybrid corn (Javier et. al., 2004). In the research pipeline are beta carotene-enriched rice, insect-resistant eggplant and cotton and virus-resistant papaya. Golden Rice is undergoing field trials now. Bt eggplant would be expected to increase incomes by increasing yields, and also by reducing insecticide use by as much as 48 percent. The virus-resistant papaya is projected to increase returns by 275 percent more than conventional papaya (Yorobe, 2009). In Pakistan, after six years of commercial cultivation, 93 percent of its cotton is biotech. It’s estimated that the economic gains from 2010-2014 was US$1.9 billion and US$299 million for 2014 alone. Pakistan has about 900 pending applications from the public sector for various stages of field trials, showing its robust research but slow regulatory process. Vietnam approved cultivation of Bt corn in 2015. Myanmar is the only Asian country that grows biotech crops legally without a national biosafety law or guidelines. Bt cotton was first cultivated in 2006 and has resulted in significant benefits for the farmers such as high crop yield, reduced input cost, increase profits, and less exposure to pesticides. Indonesia, the second largest raw sugar importing country in the world, is most likely the next country in Asia to grow biotech crops. In 2013, it issued food and environmental safety certificates for the country’s first home-grown GM drought tolerant sugarcane with commercial planting expected within the next year. Biotech soybean, corn and rice are already undergoing research. Malaysia is unique among Asian countries. 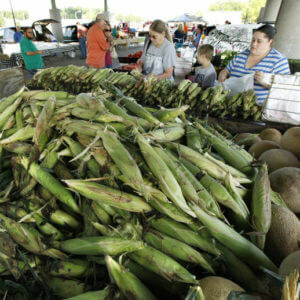 Agriculture only contributed 7.3 percent to the country’s GDP in 2010 and is in decline. It’s a major importer of food and feed and does not have a big seed industry. 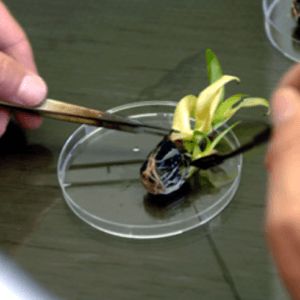 While Malaysia was proactive in developing its biosafety law and has a strong commitment to advance modern biotechnology, commercial cultivation is still not a reality. Many scientists are still not used to the tedious regulatory procedures and have given up on GM research. Also, research on biotech crops is done on an ad-hoc basis with no long term vision. Most biotech crops already in the market elsewhere are not suited for Malaysian climate. Bt corn might be the closest for adoption but some studies conclude that importing it is more economically feasible than growing it locally, but the government is now revisiting its plan to grow grain corn. More than 2.2 billion people in the region rely on agriculture for their livelihoods. The stagnant and declining yields of major crops such as rice and wheat can be ultimately linked to declining investments in agriculture. Public investments in agriculture in India, for instance, have been generally the same since 2004. In 2015, it was estimated that biotech crops were grown on 19.7 million hectares of land in Asia – making it the fastest adopted crop technology. Three of the top ten countries planting biotech crops in 2015 were in Asia. India grew more than 11.6 million hectares of cotton, the People’s Republic of China planted 3.7 million hectares of cotton, papaya and poplar, while Pakistan farmed 2.9 million hectares of cotton. Food and feed crop demand will nearly double in the coming 50 years. Producing meat, milk, sugar, oils, and vegetables typically requires more water than producing cereals – and a different style of water management. There is significant potential for biotech corn in Asia, especially in China, where 35 million hectares could be grown once approved and adopted. By the third quarter of 2016, the combined rice stocks of India and Thailand have been projected by IRRI to be around 70 percent lower than in 2013. The lack of food security persists in Asia, with farmers struggling to combat low yields, diseases, high production costs, environmental footprints and occupational health hazards due to exposure to chemicals. 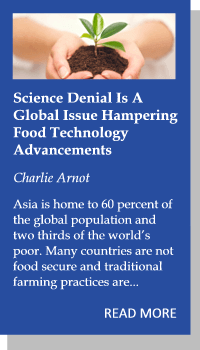 These problems—many of which could be significantly addressed using crop biotechnology, have not stopped anti-GM activists from crusading against GMOs and biotech crops in Asia. These campaigns are orchestrated almost entirely by foreign organizations with external funding from developed countries, either from affluent Western governments or non-government organizations (NGOs). The local organizations in each country are well funded by international NGOs. Greenpeace, whose huge budget surpasses the R&D expenses of many countries, channels millions of dollars to splinter groups in developing countries. Major efforts against GMOs are also carried out by “consumer” associations, which often peddle misrepresentations about GM crops. 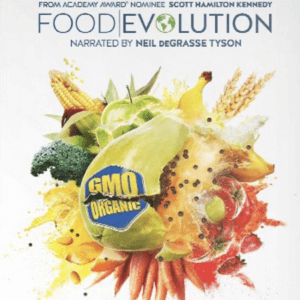 Organic groups and industry also play a role in creating fear about GM technology. The photos below show blatant lies and unethical scaremongering tactics. Thailand’s failure in commercializing biotech papaya resistant to ringspot virus illustrates the impact of anti-GM activism. In 2007, activists donned goggles, gloves and respiratory masks and uprooted ringspot resistant papaya in a field trial. Greenpeace demonstrators wearing zombie fruit suits dumped 10 metric tons of papaya in front of the Ministry of Agriculture building. These protests set into motion a countrywide moratorium on all field testing of biotech crops that remains in force. Activists often speak for farmers without any consultation with them or understanding of the challenges in agriculture. Throughout 2007, activists demonstrated against biotech papaya. 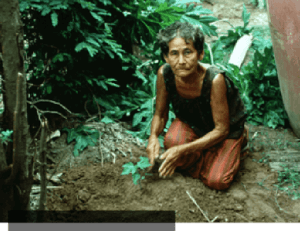 Thai woman trying to save the last diseased papaya tree in her backyard. She never got to see ringspot virus resistant papaya. 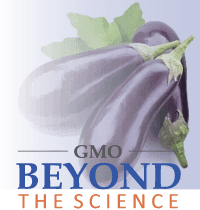 The Supreme Court permanently stopped field testing of Bt eggplant in 2015. The petition was initiated by a group of scientists, farmers and individuals backed by major international NGOs. Prior to the adoption of Bt corn, NGOs mobilized churches and used religious sentiment to lobby against approvals. There has been a backlash against some activist NGOs. In a milestone decision in 2015, the Indian government froze the bank account of Greenpeace, a vocal campaigner against GM foods, for misreporting funds and using unaccounted foreign aid to stall national development projects. The government has also launched a crackdown against foreign inflow of money into the country and NGO funding sources are carefully monitored. Philippines has a strong anti-GM movement and has caused losses to farmers in the millions of dollars. In a milestone decision, the Philippines Supreme Court reversed its decision to halt field trials of Bt brinjal after an appeal by farmers, scientists and other agriculture advocates, who asked the high court to reconsider its December 2015 ruling permanently stopping Bt brinjal field trials. Pakistan has had its share of scaremongering, carried out in pockets, largely through mass mailings targeting authorities that approve biotech crops and companies that develop them. Character assassination is one of their strategies. Both in Pakistan and Bangladesh, the media plays an important role in creating the negative perception about biotech crops. In spite of the success of Bt eggplant in Bangladesh, news articles with inaccurate reports make the rounds, falsely reporting that the crop is a failure, despite its overwhelming success. Science literacy is low among the general populace. Throughout my 12-year career as a biotechnology communicator, I have seen the following anti-GM NGO strategies: creating fear; creating doubts; cherry picking data; character assassination; hiding behind anon- ymous letters; reluctance to attend open discussion; and shutting down meetings when challenged. My personal encounters provide an insight into the moral view of the activists. At a global meeting on biological diversity in Japan, an activist spoke on why India should not adopt Bt eggplant, but was ignorant about the crop and when asked, could not answer the number of times eggplants are sprayed with pesticides before harvest—a clear example of someone “Speaking FOR farmers and NOT TO farmers”. Below is an exchange I had, also in Japan, with an activist from South Africa, on her claim that Africa should not adopt biotech crops because almost all farms are small. Me: Do you want African farmers to be smallholder farmers forever? Activist: That is not for me to answer. Let the farmers decide. Industry: What do you want ag biotech companies to do in Africa? Activist: Pack your bags and leave Africa. Me: Why are you deciding for farmers? You should remain with your earlier position that farmers need to decide for themselves. Let your farmers tell companies to leave or to stay. Activist: We do not have time for further discussion. We are wrapping up. (She literally ran away). The moral of the story is that farmers, politicians, policymakers, regulators and the general public must understand the ulterior motives of many anti-GM activists, most of whom are foreigners. They attempt to decide for countries that are thousands of miles away from where they live and for farmers who they have never interacted with. Only a focused political effort will move agro biotechnology forward in Asia. Countries should shed their activist-inspired aversion towards the private sector and not fall for the false claim that corporations are establishing a trade monopoly, especially because most of their GM products are being developed by the government. The 18 million farmers who are growing biotech crops are not foolish. Private-public participation to meet the demand of the farmers and enhance research collaboration is a prerequisite to modernize the agricultural sector. Regulations need to be put in place in Myanmar, Laos, Cambodia and Thailand. The region is rich with agricultural experience and it should not be difficult to develop national legal instruments and risk assessment and management protocols. The most critical factor is to raise awareness so the public can distinguish between science and pseudoscience, understand the safety and environmental issues and more importantly understand the agenda of the activists and their motives. Politicians, policymakers and regulators should be the key focus of public awareness and understanding initiatives. 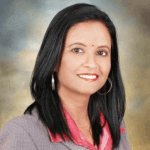 Mahaletchumy Arujanan is the Executive Director of Malaysian Biotechnology Information Centre (MABIC) and Editor-in-Chief of The Petri Dish, the first science newspaper in Malaysia. She is also an Adjunct Lecturer at Monash University, Malaysia. She was listed as one of the world’s 100 most influential people in biotechnology by Scientific American Worldview 2015. She uses her Facebook page to promote science literacy. ADB. (2009). Building Climate Resilience in the Agriculture Sector of Asia and the Pacific. ADB. (2012). South Asia Working Paper Series. Food Price Escalation in South Asia – A Serious and Growing Concern. Manila, Philippines. Aiyar, S. (2016). Do international NGOs push anti-GMO agendas on India, ignoring its actual environmental crises? Times of India. April 19, 2016. Alam, S.N. et. al. (2003). Development of an integrated pest management strategy for eggplant fruit and shoot borer in South Asia. Shanhua, Taiwan: AVRDC – the World Vegetable Center. Technical Bulletin No. 28. AVRDC Publication No. 03-548, 2003. Central Statistical Organization (CSO). (2012). Statistical Year Book 2011. Naypyitaw: Ministry of Planning and Economic Development. Choudhary, B., Nasiruddin K. M. and Gaur, K. (2014). The Status of Commercialized Bt Brinjal in Bangladesh. ISAAA Brief No. 47. ISAAA: Ithaca, NY. Choudhary, B., and Gaur, K. (2009). 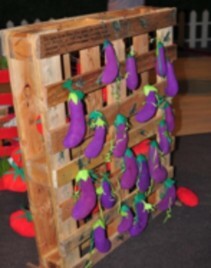 The Development and Regulation of Bt Brinjal in India (eggplant.Aubergine): ISAAA Brief No. 38. ISAAA: Ithaca, NY. Francisco, S. (2009). Costs and Benefits of Bt Eggplant with Resistance to Fruit and Shoot Borer in the Philippines. In Norton, G.W. and D.M. Hautea (eds.). 2009. Projected Impacts of Agricultural Biotechnologies for Fruits and Vegetables in the Philippines and Indonesia. International Service for the Acquisition of Agri-biotech Applications (ISAAA) and SEAMEO Southeast Asian Regional Center for Graduate Study and Research in Agriculture (SEAR- CA). College, Laguna, Philippines. James, C. (2015). Global Status of Commercialized Biotech/GM Crops: 2015. ISAAA Brief No. 51. ISAAA: Ithaca, NY. Javier, P.A., Agsaoay, M.V. and dela Cruz, J.L. (2004). 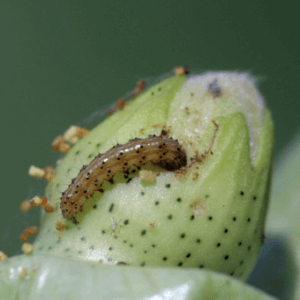 Influence of YieldGard on the Effectiveness of Trichogramma evanescens (Hymenoptera: Trichogrammatidae), an Egg Parasitoid of Asian Corn Borer, Ostrinia furnacalis (Guenee). Project Terminal Report. National Crop Protection Center, University of the Philippines, Los Banos. Pp. 40. Kumar, S., Bhatnagar, R.K., Kranthi, K.R., Datta, S.K. (2014). The Legal Battles of Field Trials of GM Crops. Nature India. doi:10.1038/nindia.2014. Molden, D. (2007). Water for Food, Water for Life. Earthscan, London and International Water Management Colombo. Rashid, M.A. and Singh, D.P. (2000). A manual of vegetable seed production in Bangladesh, AVRDC-USAID-Bangladesh Project, Bangladesh Agriculture Research Institute (BARI). Shinn, D.H. (2015). China, Africa and Food Security. International Policy Digest. http://int-policydigest.org/2015/07/09/china-africa-and-food-security/ (Accessed 6 July 2016). Teng, P. (2015). Meeting Food Security Challenges in an Inter-connected Global Food System. In Global Status of Commercialized Biotech/GM Crops: 2015. Ed James, C. ISAAA Brief No. 51. ISAAA: Ithaca, NY. Teng, P. & Oliveros. J. (2015). Challenges and responses to Asian Food Security. COSMOS, Vol. 11, No. 1 (2015) pp. 1-18. Yorobe, J.M. Jr. (2009). Costs and benefits of bioengineered papaya with resistance to papaya ringspot virus in the Philippines. In GW Norton and DM Hautea (eds). 2009. Projected Impacts of Agricultural Biotechnologies for Fruits and Vegetables in the Philippines and Indonesia. International Service for the Acquisition of Agri-biotech Applications (ISAAA) and SEAMEO Southeast Asian Regional Center for Graduate Study and Research in Agriculture (SEARCA), Los Banos, Laguna. Pp23-34. Zimmermann, R & Qaim, M. (2004). Potential health benefits of Golden Rice: A Philippine case study. Food Policy. 29: 147-168.